Smoll is not a hypermarket, but nor is it just an ordinary store: Smoll is something more. It combines supermarket prices with the customer care typical of the traditional retailer and the offering of the specialist store. There is a wide selection of quality products and the greatest care is taken over every aspect of the purchasing process. This makes Smoll a point of reference for the purchase of home and personal care products, throughout the make-up and perfumery world. Customers who choose us stay with us, because we put people first. 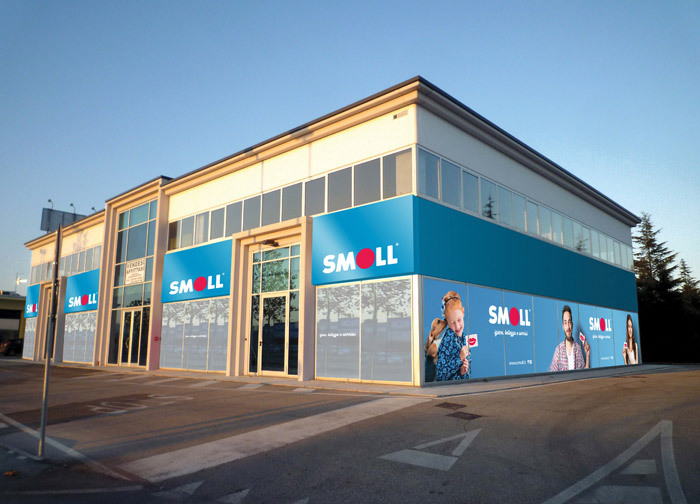 Smoll is a Meloni spa brand, a drugstore formula that offers entrepreneurs and consumers a fresh approach: the possibility of creating a reliable business and a truly tailor-made purchasing experience. This is all founded on the know-how of a group with more than fifty years‘ experience in the sector, aware of customers’ demands and responsive to its partners’ needs. Fill in the form below and one of our agents will get back to you as soon as possible!